Let’s start with a question about your on-line activity. Do you write for people or spiders? 1. 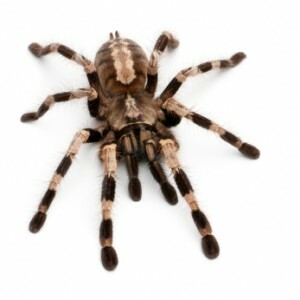 Why do many businesses get seduced and write for spiders? (To clarify I’m not talking tarantula’s. I mean the search engine kind – those tireless workers of Google’s algorithm who crawl the internet figuring out how to index all those websites and other on-line stuff). 2. And why do others get tied in knots over search engine optimisation (or SEO for short) at the expense of quality content? “It’s all about the rankings” I hear you cry. And you’ll be right. Google rankings are critical. If you want to get found on-line you need to score for your niche keywords and phrases. But unfortunately that’s only part of the equation. You see you can keyword stuff your writing as much as you like. And yes it might help (temporarily) in the Google stakes. But here’s the crux. Is this type of content going to get customers interested in what you have to say? Probably not. After all customers have well honed BS detectors. When they come across something rubbish and spammy they’ll click away. Even worse they’re unlikely to re-visit and almost certainly will not share what they’ve read. You’ll be pleased to know there is a simple way to get found on-line and encourage your audience to engage. The solution has two parts – both of which are equally important. You must write for people AND signpost for search engines. Let’s look at how we do this. We’ll explore the signposting first before looking at how to write to attract customers with words. It’s tirelessly worked at creating this amazingly (secret) algorithm which magically matches what I’m looking for with content somewhere on the web. It delivers and it’s brilliant. And that’s Google’s job. Google isn’t bothered whether your business shows up. Instead Google wants to ensure the searcher gets what they’re looking for. And what does the searcher want? Quality answers to their search questions. Or put another way – great content. “Our general advice is: Always focus on the users and not on search engines when developing your optimization strategy. Ask yourself what creates value for your users. Investing in the quality of your content and thereby earning natural backlinks benefits both the users and drives more qualified traffic to your site… keep in mind that nowadays search engines reward sweat-of-the-brow work on content that bait natural links given by choice”. Start with keyword research (try Google’s free keyword tool). It’s an easy way to discover the words your customers are using to find you. Use their language and quickly build rapport. Whilst it’s tempting to go for the most popular keyword in your niche, there’s likely to be a mass of competition. Don’t be afraid to opt for something more specific. There might be less traffic, but because your content is more targeted you’ll attract the “long tail” traffic. Where possible use keywords in your page / blog title. It helps search engine spiders know what your content is about. Refer to keywords early on. You can even highlight them for emphasis. Make full use of your Meta Descriptions. Along with your page title it appears in the Search Engine Results Page (or SERP). So use it to give readers a compelling reason to read your content and influence your click through rate. Keep your title to 72 characters and your meta description to 165 characters. That way everything will show up on the SERP instead of a shortened snippet. Try applying these ideas and see if they makes a difference. Moving on, do you remember the other half of my golden rule? You need to write for people. Then keep your readers interested by publishing new stuff regularly and consistently. Here are some ideas to use words to get your business noticed on-line. You see quality web writing attracts natural links. It gets spread via social media and because sharing is now factored into the search algorithm it affects your rankings. As an aside do note I said great content. Not churned out words. Great content is planned and professional. It has the edge. It gets read. It gets shared. It adds value to your customer base by helping them to solve a problem, generate new ideas, improve something. Great content helps define you as an authority in your niche. And (sorry about this one) great content takes time and hard work to create. And that could be one reason to hire a writing pro. So remember SEO is critical if you want to get noticed on-line. But you’ll get the best results if you support it with topnotch, well-written web copy. Tell me your strategy for getting found on-line in the comments below. And if you need a hand with your on-line writing, I’d love to help. There are some great points in here Gem and I definitely agree with especially “You must write for people AND signpost for search engines” there is a well known Dave Naylor quote which references this ideology. But great content alone won’t get the people flocking to your website make sure you build up a great network of contacts to share your content with and you’ll increase your chances of your content earning links and social shares. Hi Chris. Thanks for your comment and a great tip about building up your social media contacts to help spread your content. I think that’s really critical. You’re right. I’m sure there’s loads of great content out there that never gets the recognition it deserves because there isn’t the network there to get it going.